*Grommet mounting on tabletops thinner than 0.75" requires additional washers (available upon request). 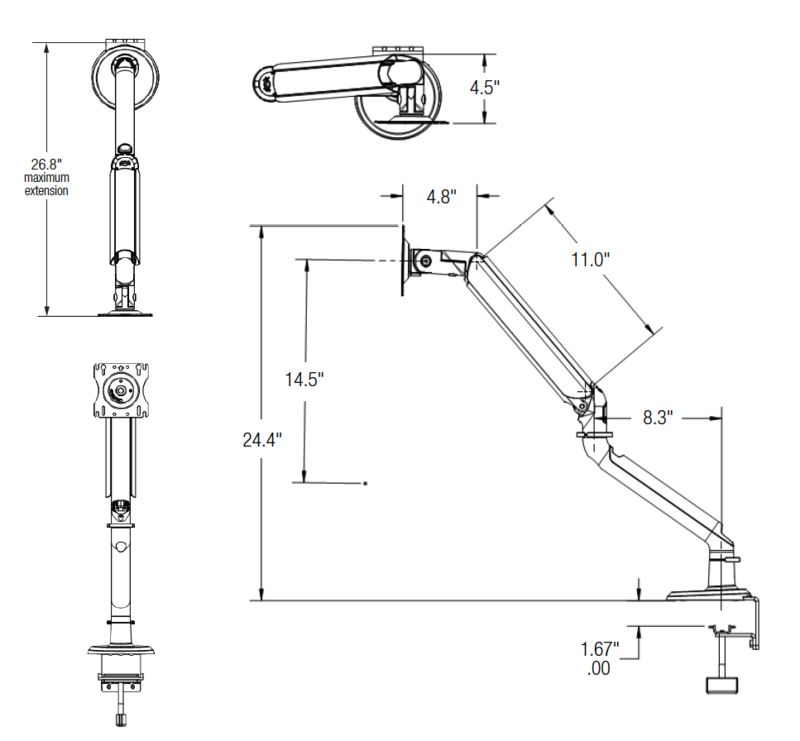 The Tempo Light Monitor Arm features a generous 14.5” of height adjustment, giving you the right position for sitting or standing. It can extend outward to 26.75”, useful if you’re in a corner space, or retract to 4.5” depth to maximize desktop space. If you have a touchscreen monitor, you can tilt it back up to 90 degrees or forward up to 45 degrees. 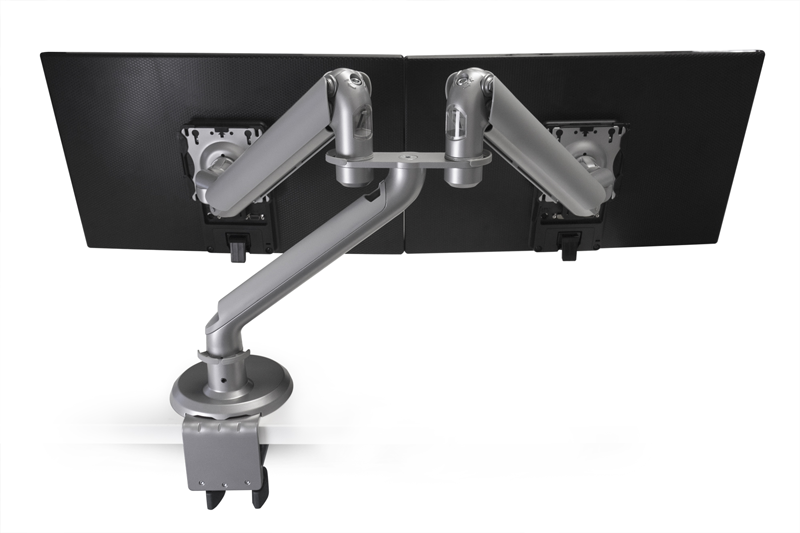 A built-in weight gauge lets you set the counterbalance with ease, so you can calibrate your monitor arm for the weight of your screens. The Tempo counterbalance weight is quickly and easily adjusted using a simple allen key (included)—much quicker than competing monitor arms. Corporate users can also identify the perfect weight setting for the office, and set all of their Tempo monitor arms to the same setting—this is much easier with the visible, human-readable weight gauge. 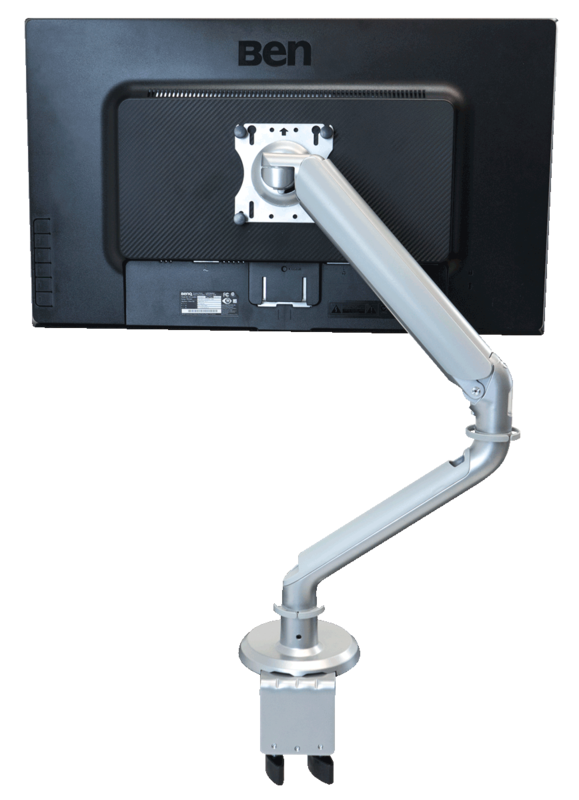 The Tempo features a standard VESA mounting plate compatible with most monitors. Plate rotates 360 degrees, allowing you to switch between portrait and landscape modes at will.